Velocity Podcast Ep. 25 - Marketing has flipped, Snap-happy and an offer for you! Velocity Podcast Ep. 25 – Marketing has flipped, Snap-happy and an offer for you! I talk about how my marketing mind has flipped, the ability to sleep, answers a listener question re where to blog, sing Snapchat’s praises and make an offer to proof your blog posts! 15 mins of rapid-fire listening! There was more chat and advice than links in this episode, but I did mention the fact that some Instagram users have been given access to account switching. Thanks to @JessChild15 for asking how I decide where to post my blog content – LinkedIn, Medium, own blog etc. 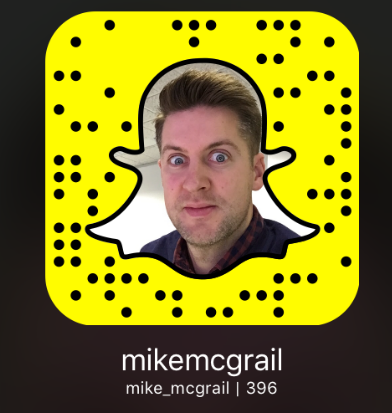 If you’d like me to answer your question in the show, feel free to tweet @mike_mcgrail or email me. I asked you to send a blog post to someone to give feedback on before you publish, do it! I’ll do that for you, contact me on the details above.